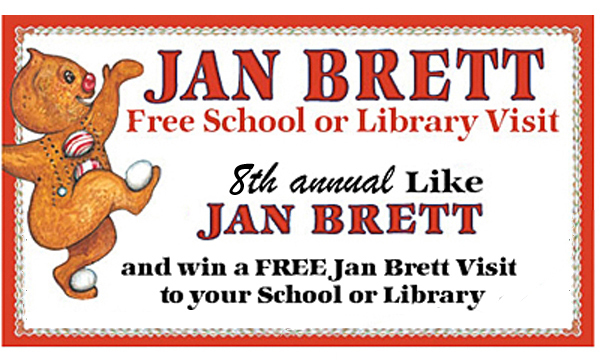 The school or library that has the most parents, teachers, friends, or supporters who enter the contest will win a free school or library visit from Jan in the 2018-2019 school year. Contest ends April 2, 2018. 2nd to 10th prizes of 10 Jan Brett books. 11th to the 100th prize of a signed Jan Brett Poster.